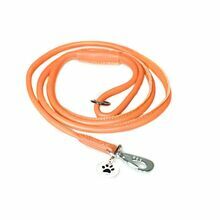 Our extensive range of soft rolled leather dog leads is designed to compliment our collars and is hand made to the highest standard from the finest quality soft leather. 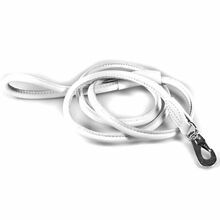 We make these dog leads by rolling fine leather over a nylon rope, making it extremely comfortable and soft, yet strong and durable dog leashes. 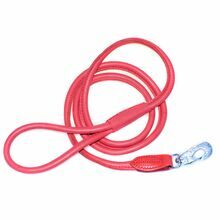 Our rolled leather leads are available in a number of colours and designs. All rolled leather dog leads have unique trigger hooks, which we consider to be of the safest type.